Soul yoga is the perfect place to practice yoga while on vacation. The Shala is right on the beach front giving perfect views of the sea and sunset while you practice. Fully equipped with mats, blocks and straps you will find all you need for your practice. 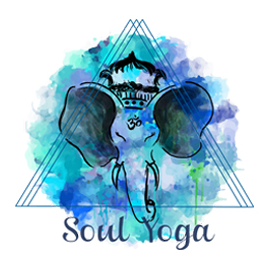 Soul yoga is run by founder Jennifer osman who is a 500hr RYT advanced yoga teacher . Jennifer teaches : power yoga, vinyasa, hatha, yin yoga and ashtanga. Her styles vary from class to class and focuses on her students and their practice. Throughout the classes jennifer will make sure your alignment is correct and will give any adjustments you need. Sunset yoga is perfect t for ending your daily activities. By the beach and relax and stretch out while watching the sun set and candles alight and incense fill the Shala giving you a complete atmosphere of relaxation and peace of mind. There are also meditation and pranayama classes and animal flow classes.